While in India to speak for two weeks at the American School of Bombay, the school kindly arranged a cornucopia of tours for me and two other guests-now-friends, author/illustrator Lauren Stringer and her daughter/dance instructor Ruby. The Gateway to India, built from 1911 to 1924, is apparently the top tourist attraction in Mumbai. When he was a boy, our charming tour guide once took off his clothes, stashed them under the Gateway, and jumped in the water it overlooks (the Arabian Sea). The police did not like that. 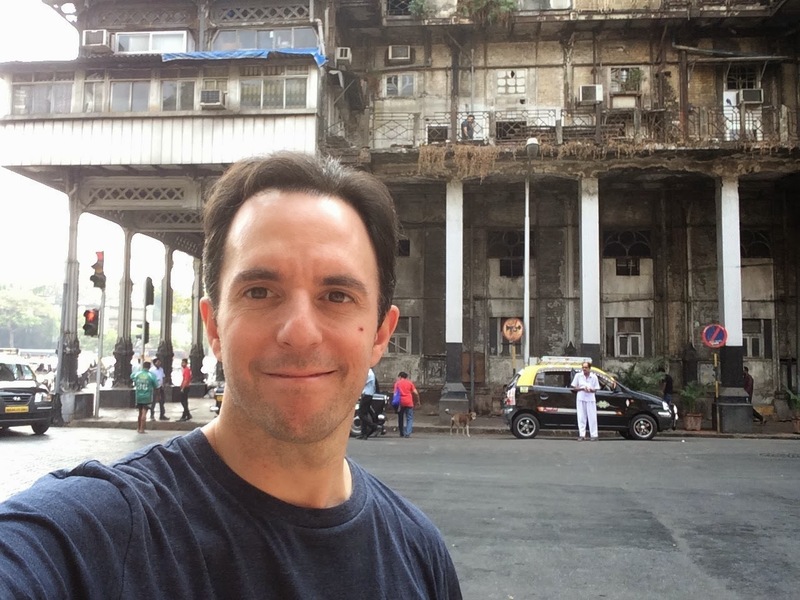 This is the Taj Hotel, where everyone from John Lennon to Bill Clinton have visited, and which was one of several targets during the 2008 Mumbai terrorist attacks. Archival images hung throughout the hotel. This is ingenious: they designated an area in which pigeons can be fed, and as a result there are almost no pigeons around the rest of this historic site. The famous Leopold Café, another site of the terrorist attacks (bullet hole still there). This was the first cinema in India to have air conditioning and to show Western films. As always, I see Batman and Superman (look closely) everywhere I go. Stationed along the High Court were soldiers with big guns propped on surfaces aimed at head level toward the street. (Again, look closely.) Needless to say, it was not comfortable walking past them. On a table under this tree in 1875, the Bombay Stock Exchange launched. It has since moved nearby to a huge building. According to our guide, it’s the third largest stock exchange in the world, though online sources claim otherwise. Chhatrapati Shivaji Terminus is the main train station (and World Heritage Site) in Mumbai. Filmed inside was “Jai Ho,” the infectious dance number that runs under the closing credits of Slumdog Millionaire. I was inspired to recreate it but the place is crowded. With my fun tour companions, Lauren and Ruby. In a city of 25 million, how unlikely is it that anyone would pass someone he knows on a street that wasn’t in his neighborhood? Well, our tour guide bumped into…his daughter. Elephanta Island is a one-hour boat ride from Mumbai. The island is home to three towns; 1,300 people; untold numbers of monkeys and cobras (not to mention cows, goats, and dogs); and caves filled with large Hindu statues that date back to somewhere between the 5th and 8th century and, according to our guide, took 1,300 (!) years to carve. No, we did not see cobras. Yes, we did see monkeys. should be wary of himself. …and with the replica situated between the landing dock and the stairs you take to get up to the caves. I was fascinated by Elephanta Island and by our 23-year-old guide, who lives there. He spoke and understood English very well, was smartly dressed, and is attending university on the mainland. He has a Samsung smartphone and a girlfriend, knows about Hollywood movies and Hindu history in potentially equal measure, seems altogether in sync with the 21st century…until you find out that the island has electricity only between 7 and 10 p.m. daily. He and the other inhabitants must wait till then to charge their cells and they do not have fridges. His diet is mostly vegetables, fruit, rice, and fish. At one point he described a Bollywood movie he likes…which, humorously, sounded very much like E.T. the Extra-Terrestrial (which he did not know). There are no doctors on the island. To see one, inhabitants must take the boat. Emergencies must be particularly scary. Pregnant women go to the mainland a month or so before their due date and stay with family or friends till the big day. 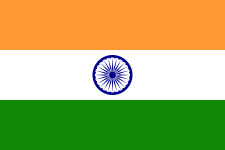 Monday, 1/26/15 was Republic Day (marking independence from Great Britain). President Obama came to India for it, and for diplomacy. He was in Delhi or else I’m sure we would’ve had masala chai together. I thought the city would be even more crowded than usual because of the holiday, but apparently it was the opposite. The day started with a traffic violation. Our kind driver got pulled over for using his cell phone while driving. The officer did not process the violation at the window like what we’re used to in the States. Instead he asked the driver to step out of the vehicle…and they proceeded to discuss the situation IN THE MIDDLE OF A BUSY STREET. Dhobi Ghat, the sprawling, open-air laundry-washing area—stunning. People from all over the city send their dirty clothes here (Dhobis, as they’re called, come pick it up). Last stop of the tour was Mani Bhavan, a large home in which Gandhi lived and worked (but did not own) from 1917 to 1934. Next...touring the largest slum in India. "He and the other inhabitants must wait till then to charge their cells and they do not have fridges. His diet is mostly vegetables, fruit, rice, and fish. At one point he described a Bollywood movie he likes…which, humorously, sounded very much like E.T. the Extra-Terrestrial (which he did not know)." That was probably PK. It was released around the time you were there. It's a very funny movie with India's biggest Bollywood star who plays an Alien who is trying to get home. It turns into a funny critique on religion. The movie has made over 300,000,000 Rupees, making it the highest grossing Bollywood film of all time. An Indian co-worker of mine came to Canada for 8 weeks and I took her to see it during a trip to Toronto. Thankfully it had English subtitles for me to follow along.